North American Sales Company, Inc. (NASCO) is representing or distributing a variety of products that are fit for use in harsh environments. Intrinsically safe/explosion proof Ethernet protection is here! 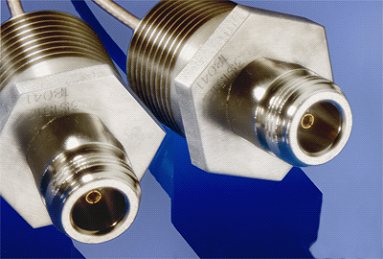 Click here to download Newsletter on Intrinsically Safe / Explosion Proof Ethernet Protection. NASCO now has a unique and patented barrier system to protect your Ethernet signals. This unique design is the only “passive” design on the market. This means no power supplies, no glands and no internal space required. 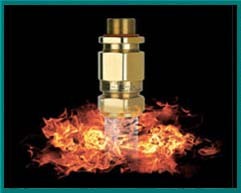 Using the BXF Series, this barrier is mounted into the enclosure wall, providing a flame proof connection; and the BAF series can be used in a purged system. By utilizing the couplers with a certified enclosure, your system will be approved for hazardous area use with most PC’s, Ethernet Switches, Hubs and Masters. Peppers is a leader in the manufacture of glands and accessories for the industrial, marine, power, water, oil and petrochemical markets. Peppers has an extensive range of international approvals incorporating ATEX, IECEx, UL, CSA, GOST, INMETRO & NEPSI as well as marine type approvals by ABS (American Bureau of Shipping) RMRS (Russian Maritime) and Lloyd’s Register. Our range of approved products are designed and tested for us in Ex d, Ex e, Ex nR and Ex t hazardous area protection concepts. Peppers America which is part of NASCO can deliver small quantities of glands in days and project quantities within weeks. We are experienced in major projects and export documentation and are happy to meet and discuss requirements with any customer anywhere in the world. Click here for more information, certificates and documents.